Quick 5 steps on how to download, install and play Clash of Clans on PC without Bluestacks, especially if you have errors with Bluestacks. While we were explaining about how to download, install and play Clash of Clans on PC or Mac via Bluestacks in that post, we were also preparing another guide for people who either don’t prefer to use Bluestacks or that they have unsolvable problems with Bluestacks. We would still recommend Bluestacks if you are choosing between all the available android emulators because it’s much more simple and the finest of all. Well, if you insist to use the others, continue reading. There are many android emulators on the market now that you can download and use for free. Some would offer a month of free trial before requiring you to subscribe to them (that means paying them), while most others are free to use and usually with some in-app advertisements. We will mainly introduce and guide you through on how to install and play Clash of Clans for PC (without Bluestacks) via Andy Android Emulator and Genymotion in Windows 10/8.1/8/7. 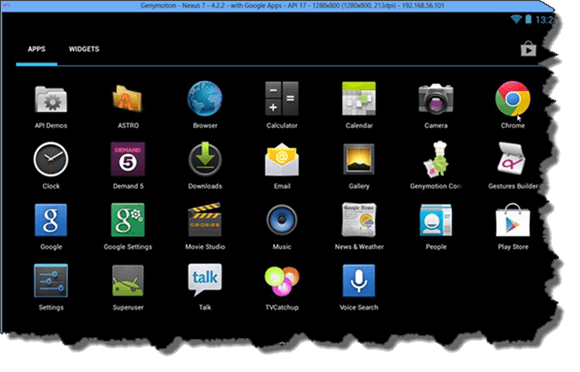 Andy is a name of the widely known android emulator which can be downloaded from andyroid.net. It is just second to Bluestacks in the emulator market (based on our opinion) and is growing fast. It is also pretty simple to install, download and use as compare to other complex emulators that requires code handling. It runs most apps and games just fine. To download Andy, go to andyroid.net. 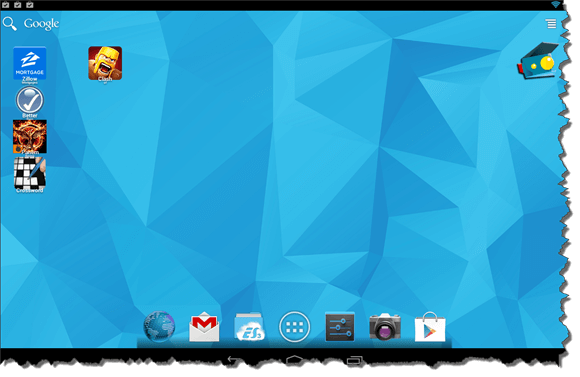 Scroll down the page until you see the download button for Andy Android Emulator. Download and install it. To install Clash of Clans on Andy, launch Andy, complete the sign up process and login to you Google Play Store account. Search for Clash of Clans and then download it. Once the download is completed, launch CoC from Andy’s home screen. Enjoy playing! Well, if you have VMware previously installed, Andy installer will require you to uninstall it before you can run the installer which is the only downside we don’t use Andy for our main android emulator. If you don’t have VMware at the first place, the installer will run just fine. Genymotion is yet another awesome android emulator. It runs based on VirtualBox (unlike Andy that runs on VMware). If you head to genymotion.com, you would probably be seeing a huge “buy now” button on the homepage. Genymotion is actually free for personal and non-commercial use. To download it for free, scroll down the page until you see their packages listed near the bottom of the home page. Select free personal use and start the download. Install it like how you would for any other software. You will also be asked to install VirtualBox along the way which is required in order for Genymotion to run. To download Clash of Clans for PC on Genymotion, launch Genymotion, login to your Google Play Store account, search for Clash of Clans and download it. When the download is completed, run CoC from Genymotion home screen. There are also many other android emulators that you might want to try if you simply don’t like those mentioned above. As we have stated above, not all of them are free to use. Some may need a subscription to run but most come with a month of free trial. If you ever come across sites that require you to do surveys before you can go to their so called “download clash of clans for PC” download link, don’t do it because they are fake. This is a kind of online marketing scam that cheating people into trusting they have what you want. They usually will require you to enter your mobile phone number which will then be sold to some marketing agencies. It’s not just for this topic about clash of clans download, it applies to everything you want on the internet. When you see anything that requires you to do a survey with your mobile phone, turn away because they don’t have what you wanted and you will receive bunch of advertising SMS or calls when your mobile phone number is exposed. Clash of clans has a very much tense gameplay environment that offers players competitive battle opportunities especially during massive Clan Wars where everything you have matter for your clan to win the war. That’s why people pay for it, and they do pay a lot (like a few hundred dollars each enthusiastic player). Well there are ways to play this game without spending a single penny and to be successful at the same time. We have written several guides on how to effective attack TH8, TH9 and TH10 bases with a wide varieties of attack strategies such as GoWiPe, GoWiWi, Hog riders, dragon attacks, the mighty Black Balloons (lavaloonion) and many others. We have also written about how you can save your time and money when farming for gold and elixirs has became so difficult now and how to quickly push your trophies to Crystal or higher. 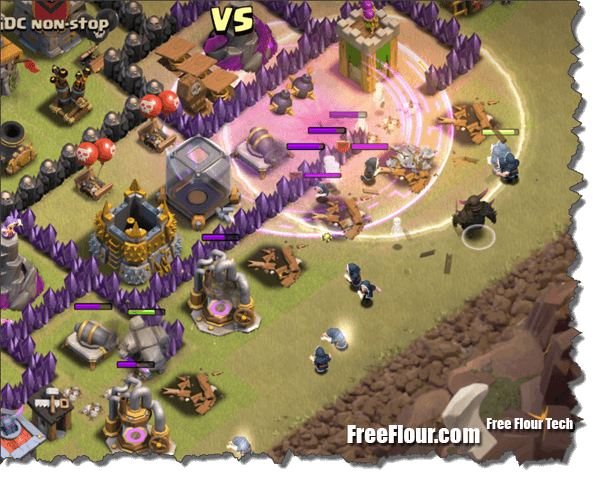 Feel free to visit Clash of Clans Attack Strategy Tips and Cheat Sheets.